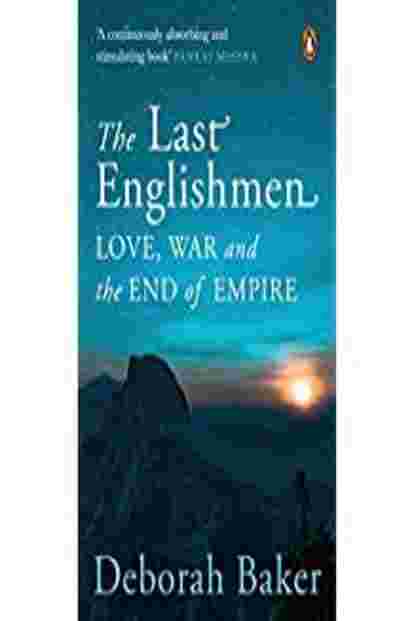 Deborah Baker’s new book, The Last Englishmen, revolves around the lives of a few distinguished “Englishmen" in the last two decades preceding India’s independence from the British rule. Employed in the service of the empire, these men find themselves entangled in a web of friendships, rivalries, accidents and adventures. But from the interstices of their lives, shot through with hard facts and the gossamer thread of Baker’s vivid imagination, emerges a tale of alienation and existential dilemma. As with her earlier books, A Blue Hand: The Beats In India (2008) and The Convert: A Tale Of Exile And Extremism (2011), Baker puts a human face to history. She makes familiar events, such as the Great Calcutta Killings of 1946, come alive in all their heartbreaking details. With her close attention to archival records and gift of reading between the lines, Baker has forged a form that’s very much her own. Complex, multilayered, rendered with novelistic flair, her books illuminate her skills as historian, biographer and essayist. Baker begins her micro-history in one of the most tumultuous periods in world politics. We are plunged in the middle of a politically bristling scenario in India. It is 1926, a few years after M.K. Gandhi has launched his satyagraha, when John Bicknell Auden, geologist and brother of the famous English poet W.H Auden, arrives in the country. 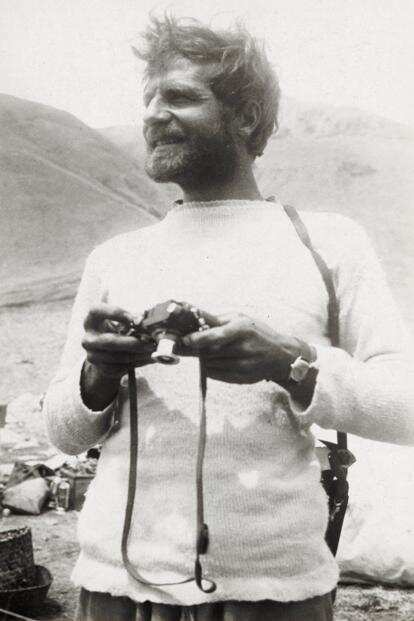 Engaged in the service of the Geological Survey of India and well-versed in the intricacies of his profession, John is eager to scale the Everest, a project that stubbornly eludes him—as it does the colonial government, which regards the “conquest" of the mountain as the pinnacle of its imperial glory. Nicknamed “Dodo" in school for his myopic squint, John is also unsure with the women in his life. He is susceptible to flighty affairs and making promises of matrimony that he fails to honour. His closest friend in Calcutta (now Kolkata), where he spends most of his Indian years, is Sudhindranath Datta. A Bengali poet and public intellectual, Sudhin is the founder of the Parichay group, a gathering of writers, journalists, artists, thinkers and suspected double agents, who assemble at his place for addas—a favourite Bengali pastime involving copious amounts of tea, snacks and conversation. Among this motley crew, John feels a sense of belonging that he doesn’t find with the British. He meets his future wife Sheila Bonnerjee (granddaughter of W.C. Bonnerjee, the first president of the Indian National Congress) at Parichay. He also confronts his inner demons in its midst—moments of epiphany when he is tormented for acting in the interest of the oppressors. At work, John is thrown into the company of Michael Spender (brother to yet another famous English poet, Stephen Spender) who, like John, is a surveyor, driven to travel to the far corners of the globe. From the Great Barrier Reef in Australia to East Greenland, Michael’s restless peregrinations and selfless devotion to work cost him his family. But he ends up in the department of photographic interpretation during World War II, where his skills as cartographer are put into the service of identifying the movement of enemy troops. John and Michael would eventually fall for the same woman, the artist Nancy Sharp, who married Michael after divorcing her artist husband William Coldstream, but carried on with John and the poet Louis MacNeice for several years. Baker braids the different strands of her plot through the affective turns the lives of her characters take, especially through their private reckoning with love and loss. A major chunk of her story covers the repeated failure of the British to conquer the Everest. Even the Karakoram range gave them grief when they set out to map it. While these chapters are replete with technical and factual details, Baker never loses sight of their metaphorical significance—or an opportunity to probe into the psychology of her characters. For instance, inclement weather, the whims of sherpas, and physical infirmity, push Michael and John to encounter aspects of their personalities they hadn’t known as nakedly during their lives on the plains. Michael is ashamed of his petulant remarks over badly boiled eggs as he sees the plight of nomadic tribes living in inhuman condition at the high altitudes. The shifting balance of empathy and aloofness is a constant preoccupation in the book. Although set apart by their stations in life and private concerns, Baker’s characters share a moral compass. In spite of their duties and responsibilities to the empire, each of them tries to do the right thing by their conscience. They struggle to not become inure to the suffering that the war and India’s fight for independence unleash. But between the 1920s and the 1940s, as the Nazis persecute Jews, Germany bombs Britain, Stalin tightens his grip over Russia and Churchill gloats in the devastations of Bengal’s famine, it’s hard to keep one’s moral radar steady. In their bid to stretch their empathies, Nancy and Michael enlist themselves in the war effort. Having witnessed the horrors of the Spanish Civil War, Wystan and his writer friend Christopher Isherwood embrace pacifism and go on exile in the US. With both his wife and closest friend being Indians, John is left teetering on the cusp of uncertainty—the excesses of the empire repel him as do the horrors of the resistance by Indians. Fluent in French, German, Sanskrit, Bengali and English, and schooled in the best traditions of cosmopolitanism, Sudhin is caught in a limbo as well. “In his darkest, most defeated moods he would come to suspect there was something unstable about a mind that was a compound of East and West," writes Baker. Yet, coming from a family whose wealth was derived from its alliance with the occupiers, Sudhin was only too aware of the limitations of his class, derided by the English as baboos. As he interrupts the communist historian, Susobhan Sarkar, in the middle of a heated debate, “What could you possibly know about the life of a landless tenant farmer?...What can bookish, middle-class bhadralok like ourselves ever have in common with them?" Baker’s book, through its winding journey across two turbulent decades and continents, attempts to answer his question.